The British royal matriarch, Queen Elizabeth II, will ring in her platinum wedding anniversary with Philip, the Duke of Edinburgh, on Nov. 20th. Her Majesty, Queen Elizabeth II, has gone platinum! No, we're not talking about the British matriarch's hair — the queen celebrates 70 years of marriage to Prince Philip on Nov. 20, a milestone known as the platinum anniversary. The prince, 96, and the queen, 91, are the first British monarchs to reach 70 years together. To commemorate the occasion, they've released a new series of portraits captured by British photographer Matt Holyoak at Windsor Castle earlier this month. Being a fashion plate has long been an unofficial royal duty, and the queen is elegant as ever in a cream dress by Angela Kelly. Even her jewelry has a serious pedigree — the gold, ruby and diamond "Scarab" brooch, designed by Andrew Grima, was a personal gift from Prince Philip in 1966. If you look behind them, you'll see the watchful eyes of King George III and Queen Charlotte in portrait form, as rendered by Thomas Gainsborough in 1781. The two met when they were just starry-eyed teenagers, and their marriage has weathered the public eye and the demands of royalty. Last February, Queen Elizabeth celebrated 65 years on the throne — making her the longest-serving royal in British history — and Prince Philip has been by her side the whole time. Like any couple, they've had their ups and downs, but some of their hardest moments have helped create their deep bond. Back in 1952, Prince Philip was the one who broke the news to his wife that her father, George VI, had died and that she was now queen. “One of the secrets of this very, very long marriage, and it’s an incredibly impressive anniversary, is the fact Prince Philip has always seen it as his main duty to support the queen, to help her in whatever way he can,” royal historian Hugo Vickers told Reuters. The couple has four children: Charles, Prince of Wales; Anne, Princess Royal; Prince Andrew, Duke of York; and Prince Edward, Earl of Wessex. Prince Charles, 69, is the heir to the throne. While the prince, who was hospitalized last June for health issues, is officially retired from public life, the two still make sporadic appearances. They both attended the Royal Festival of Remembrance earlier this month. They were also spotted at the annual Trooping the Colour parade in June, and made a too-cute showing feeding elephants at the Whipsnade Zoo last April. Congratulations to these two on a beautiful life and legacy together. 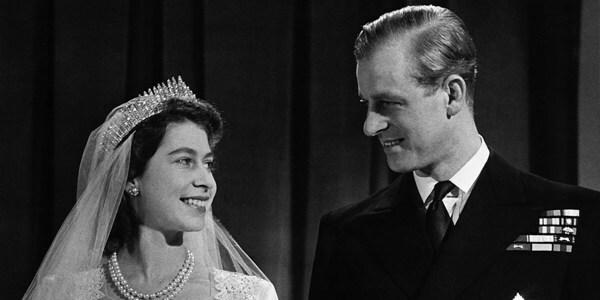 See photos of Britain's Queen Elizabeth and Prince Philip over the last 70 years.